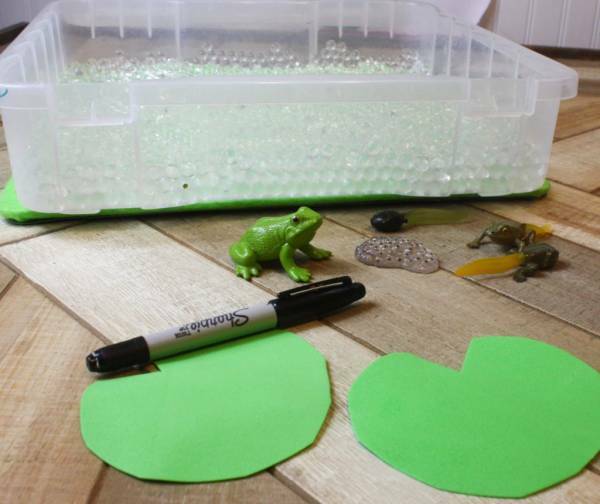 This frog life cycle sensory bin from Views from a Stepstool uses water beads as a base (aka frog eggs) and a purchased set of frog life cycle toys. Using lily pads to label the different parts of the life cycle is both really cute and a great additional educational component. But just playing with the water beads and the frogs would be a lot of fun for little ones as well.